Winners line the field for the Bet365.come Lancashire Oaks to be held this weekend, with Albasharah looking to move on from her desperately unlucky outing at Royal Ascot with a victory for Saeed bin Suroor. Albasharah is the bookmaker’s favourite for the race, but will be joined by a five-time winner last year in the form of Midnight Soprano, and she will also have to look out for the growing Moment In Time, a winner last time out. The best place to have a bet on the 2013 Bet365.com Lancashire Oaks is with Bet365.com. The odds below were taken from the site, and you will be able to find the latest race odds there as well. Bet365.com is also offering each-way betting on the race, with which you will receive 1/3 if should your selection place in positions one to three. Heading into Royal Ascot’s Wolferton Handicap unbeaten, punters would have fancied Albasharah’s chances of walking away with the win, but she encountered problems mid-run, and was only able to finish a disappointing fifth. ‘She was very unlucky at Royal Ascot, but ran very well and came back sound,’ said trainer bin Suroor, and the feeling is that the luck that deserted her at Ascot can’t make a reappearance at Haydock. She will be stepping up from 10 furlongs to a mile and a half, but bin Suroor doesn’t expect this shift to be too much of a problem on the stamina of the horse. 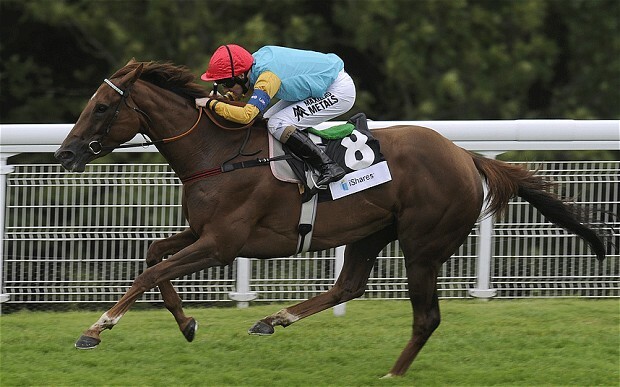 Should Albasharah’s stamina, or any other problems, cause issues, Midnight Soprano will be there to capitalise. He won five races last season, and the six-year-old is looking good coming into the race. He won the Group 3 Noblesse Stakes at Cork last month and is in fine form. Trainer Paul Deegan is looking for a big race from his horse, but might be concerned about the drying conditions, as his charge has proven he favours muddy tracks. Moment In Time won last time out over this course and distance in the Pinnacle Stakes, and cannot be overlooked for this outing, but you feel that Albasharah will be the one to beat come race day. Elsewhere in the field, John Gosden will be looking for a hat trick of victories in the event with either Gallipot or Wannabe Loved after having trained the winners of both the 2011 and 2012 renewals, Gertrude Bell and Great Heavens respectively. As mentioned above, the best racebook to place a bet on the 2013 Bet365.com Lancashire Oaks is Bet365.com, who will offer the best odds on the race. When visiting Bet365.com, click on ‘Horse Racing’ in the left sidebar and scroll down to the Antepost section of the page, where you will find the markets for this race and many more. The Lancashire Oaks is a Group 2 race held at Haydock Park in Haydock, England, and is run over a distance of one mile, three furlongs and 200 yards. The race is for horses aged three years old and over and has a purse of GBP 80,000. John Gosden’s then three-year-old Great Heavens won the 2012 renewal.